Shopping for a used luxury sedan, cabriolet, or coupe near Providence? Explore our lineup of 19 used Mercedes-Benz C-Class vehicles. Available with features like a power sunroof, SiriusXM® satellite radio, and heated leather seats, the Mercedes-Benz C-Class offers luxury at a price you wouldn’t expect. Browse our inventory below to find a used Mercedes-Benz for sale, then contact us to schedule a test drive near East Greenwich! SPORT PACKAGE, SPORT TUNED SUSPENSION, HEATED FRONT SEATS, LED DAYTIME RUNNING LIGHTS, RAIN SENSING WINDSHIELD WIPERS, AND MUCH MORE! !, $39,970 ORIGINAL MSRP!!. Priced below KBB Fair Purchase Price! Arctic White on Almond Beige.SPORT PACKAGE, SPORT TUNED SUSPENSION, HEATED FRONT SEATS, LED DAYTIME RUNNING LIGHTS, RAIN SENSING WINDSHIELD WIPERS, AND MUCH MORE! !, $39,970 ORIGINAL MSRP!!. Arctic White on Almond Beige. AMG® SPORT BODY STYLING, IPOD MEDIA INTEGRATION, BECKER MAP PILOT®, LED DAYTIME RUNNING LIGHTS, RAIN SENSING WINDSHIELD WIPERS, POWER SLIDING GLASS SUNROOF, AND MUCH MORE! !, $36,765 ORIGINAL MSRP!!. 22/31 City/Highway MPG Mars Red on Black.AMG® SPORT BODY STYLING, IPOD MEDIA INTEGRATION, BECKER MAP PILOT®, LED DAYTIME RUNNING LIGHTS, RAIN SENSING WINDSHIELD WIPERS, POWER SLIDING GLASS SUNROOF, AND MUCH MORE! !, $36,765 ORIGINAL MSRP!!. LIGHTING PACKAGE, ACTIVE CURVE ILLUMINATION, MULTIMEDIA PACKAGE, COMMAND NAVIGATION, SPORT PACKAGE, COMFORT ACCESS, LED DAYTIME RUNNING LIGHTS, RAIN SENSING WINDSHIELD WIPERS, AND MUCH MORE! !, $54,275 ORIGINAL MSRP!!. Priced below KBB Fair Purchase Price! Odometer is 26818 miles below market average! 19/27 City/Highway MPG Polar White on Black.LIGHTING PACKAGE, ACTIVE CURVE ILLUMINATION, MULTIMEDIA PACKAGE, COMMAND NAVIGATION, SPORT PACKAGE, COMFORT ACCESS, LED DAYTIME RUNNING LIGHTS, RAIN SENSING WINDSHIELD WIPERS, AND MUCH MORE! !, $54,275 ORIGINAL MSRP!!. PREMIUM PKG, BLINDSPOT ASST, SMARTPHONE INTEGRATION, APPLE CARPLAY, ANDROID AUTO, BACKUP CAM, HEATED FRONT SEATS, NAV PREWIRE, DYNAMIC SELECT, 4 WAY LUMBAR, GARAGE DOOR OPENER, AUTODIMMING MIRRORS, COLLISION PREVENTION ASST PLUS, PRESAFE. Clean CARFAX. Odometer is 3568 miles below market average! 24/33 City/Highway MPG Selenite Gray Metallic on Crystal Gray.PREMIUM PKG, BLINDSPOT ASST, SMARTPHONE INTEGRATION, APPLE CARPLAY, ANDROID AUTO, BACKUP CAM, HEATED FRONT SEATS, NAV PREWIRE, DYNAMIC SELECT, 4 WAY LUMBAR, GARAGE DOOR OPENER, AUTODIMMING MIRRORS, COLLISION PREVENTION ASST PLUS, PRESAFE. Selenite Gray Metallic on Crystal Gray. PREMIUM PACKAGE, REMOTE START, SIRIUS XM, SMARTPHONE INTEGRATION, APPLE CARPLAY, ANDROID AUTO, BACKUP CAMERA, 18 TWIN 5 SPOKE WHEELS, COLLISION PREVENTION ASSIST PLUS, HEATED FRONT SEATS, AND MUCH MORE!!!!. Clean CARFAX. Odometer is 1445 miles below market average! 23/32 City/Highway MPG Polar White on Silk Beige/Black.PREMIUM PACKAGE, REMOTE START, SIRIUS XM, SMARTPHONE INTEGRATION, APPLE CARPLAY, ANDROID AUTO, BACKUP CAMERA, 18 TWIN 5 SPOKE WHEELS, COLLISION PREVENTION ASSIST PLUS, HEATED FRONT SEATS, AND MUCH MORE!!!!. $46,275 ORIGINAL MSRP, COLLISION PREVENTION ASSIST PLUS, REMOTE START, PREMIUM PACKAGE, SIRIUS XM, ANDROID AUTO, APPLE CARPLAY, BACKUP CAMERA, 18 TWIN 5 SPOKE WHEELS, HEATED FRONT SEATS, AND MUCH MORE!!. Clean CARFAX. Odometer is 2783 miles below market average! 23/32 City/Highway MPG White on Silk Beige/Black.$46,275 ORIGINAL MSRP, COLLISION PREVENTION ASSIST PLUS, REMOTE START, PREMIUM PACKAGE, SIRIUS XM, ANDROID AUTO, APPLE CARPLAY, BACKUP CAMERA, 18 TWIN 5 SPOKE WHEELS, HEATED FRONT SEATS, AND MUCH MORE!!. PREMIUM ONE PACKAGE, SIRIUS XM SATELLITE RADIO, COMFORT ACCESS, SMARTPHONE INTEGRATION, APPLE CARPLAY/ANDROID AUTO, BACKUP CAMERA, HEATED FRONT SEATS, DYNAMIC SELECT, COLLISION PREVENTION ASSIST PLUS, AND MUCH MORE! !, $45,925 ORIGINAL MSRP!!. Clean CARFAX. Odometer is 1136 miles below market average! 23/32 City/Highway MPG Black on Black.PREMIUM ONE PACKAGE, SIRIUS XM SATELLITE RADIO, COMFORT ACCESS, SMARTPHONE INTEGRATION, APPLE CARPLAY/ANDROID AUTO, BACKUP CAMERA, HEATED FRONT SEATS, DYNAMIC SELECT, COLLISION PREVENTION ASSIST PLUS, AND MUCH MORE! !, $45,925 ORIGINAL MSRP!!. PREMIUM ONE PACKAGE, SIRIUS XM SATELLITE RADIO, COMFORT ACCESS, SMARTPHONE INTEGRATION, APPLE CARPLAY/ANDROID AUTO, BACKUP CAMERA, HEATED FRONT SEATS, DYNAMIC SELECT, COLLISION PREVENTION ASSIST PLUS, RAIN SENSING WINDSHIELD WIPERS, PREMIUM INTERIOR LIGHTING, AND MUCH MORE! !, $46,075 ORIGINAL MSRP!!. Clean CARFAX. Odometer is 3116 miles below market average! 23/32 City/Highway MPG Black on Silk Beige/Black.PREMIUM ONE PACKAGE, SIRIUS XM SATELLITE RADIO, COMFORT ACCESS, SMARTPHONE INTEGRATION, APPLE CARPLAY/ANDROID AUTO, BACKUP CAMERA, HEATED FRONT SEATS, DYNAMIC SELECT, COLLISION PREVENTION ASSIST PLUS, RAIN SENSING WINDSHIELD WIPERS, PREMIUM INTERIOR LIGHTING, AND MUCH MORE! !, $46,075 ORIGINAL MSRP!!. REMOTE START, COLLISION PREVENTION ASSIST PLUS, LED HEADLAMPS, PREMIUM PACKAGE, ELECTRONIC TRUNK CLOSER, HANDS FREE ACCESS, SIRIUS XM, BACKUP CAMERA, HEATED STEERING WHEEL, HEATED FRONT SEATS, AND MUCH MORE!. Clean CARFAX. 22/33 City/Highway MPG White on Black.REMOTE START, COLLISION PREVENTION ASSIST PLUS, LED HEADLAMPS, PREMIUM PACKAGE, ELECTRONIC TRUNK CLOSER, HANDS FREE ACCESS, SIRIUS XM, BACKUP CAMERA, HEATED STEERING WHEEL, HEATED FRONT SEATS, AND MUCH MORE!. MULTIMEDIA PACKAGE, COMMAND NAVIGATION, COMFORT ACCESS, ELECTRONIC TRUNK CLOSER, DYNAMIC LED LIGHTING PACKAGE, INTELLIGENT HIGHBEAM CONTROL, DRIVERS ASSISTANCE PACKAGE, DISTRONIC PLUS®, STEERING ASSIST, ACTIVE LANE KEEPING ASSIST, ACTIVE BLIND SPOT ASSIST, RED SEAT BELTS, BACKUP CAMERA, POWER SLIDING PANORAMIC SUNROOF, HEATED FRONT SEATS, DYNAMIC SELECT, RAIN SENSING WINDSHIELD WIPERS, AND MUCH MORE! !, $62,500 ORIGINAL MSRP!!. Certified. Mercedes-Benz Certified Pre-Owned Details: * Roadside Assistance * 165 Point Inspection * Transferable Warranty * Limited Warranty: 12 Month/Unlimited Mile beginning after new car warranty expires or from certified purchase date * Warranty Deductible: $0 * Includes Trip Interruption Reimbursement and 7 days/500 miles Exchange Privilege * Vehicle History CARFAX One-Owner. Odometer is 19425 miles below market average! 21/29 City/Highway MPG Black on Black.MULTIMEDIA PACKAGE, COMMAND NAVIGATION, COMFORT ACCESS, ELECTRONIC TRUNK CLOSER, DYNAMIC LED LIGHTING PACKAGE, INTELLIGENT HIGHBEAM CONTROL, DRIVERS ASSISTANCE PACKAGE, DISTRONIC PLUS®, STEERING ASSIST, ACTIVE LANE KEEPING ASSIST, ACTIVE BLIND SPOT ASSIST, RED SEAT BELTS, BACKUP CAMERA, POWER SLIDING PANORAMIC SUNROOF, HEATED FRONT SEATS, DYNAMIC SELECT, RAIN SENSING WINDSHIELD WIPERS, AND MUCH MORE! !, $62,500 ORIGINAL MSRP!!. PREMIUM ONE PACKAGE, SIRIUS XM SATELLITE RADIO, COMFORT ACCESS, ELECTRONIC TRUNK CLOSER, HEATED STEERING WHEEL, BACKUP CAMERA, HEATED FRONT SEATS, DYNAMIC SELECT, SMARTPHONE INTEGRATION, APPLE CARPLAY/ANDROID AUTO, COLLISION PREVENTION ASSIST PLUS, RAIN SENSING WINDSHIELD WIPERS, LED HEADLIGHTS, LED TAILLIGHTS, PREMIUM INTERIOR LIGHTING, AND MUCH MORE! !, $48,095 ORIGINAL MSRP!!. Clean CARFAX. 22/33 City/Highway MPG Selenite Gray Metallic on Black.PREMIUM ONE PACKAGE, SIRIUS XM SATELLITE RADIO, COMFORT ACCESS, ELECTRONIC TRUNK CLOSER, HEATED STEERING WHEEL, BACKUP CAMERA, HEATED FRONT SEATS, DYNAMIC SELECT, SMARTPHONE INTEGRATION, APPLE CARPLAY/ANDROID AUTO, COLLISION PREVENTION ASSIST PLUS, RAIN SENSING WINDSHIELD WIPERS, LED HEADLIGHTS, LED TAILLIGHTS, PREMIUM INTERIOR LIGHTING, AND MUCH MORE! !, $48,095 ORIGINAL MSRP!!. Selenite Gray Metallic on Black. COLLISION PREVENTION ASSIST PLUS, PRESAFE®, REMOTE START, PREMIUM 1 PACKAGE, SIRIUS XM, MULTIMEDIA PACKAGE, 8.4 HIGH RESOLUTION DISPLAY, NAVIGATION, BACKUP CAMERA, PANORAMA ROOF, HEATED STEERING WHEEL, BURMSTER SURROUND SOUND STEREO SYSTEM, HEATED FRONT SEATS, AND MUCH MORE!!!. Clean CARFAX. Odometer is 3059 miles below market average! 23/32 City/Highway MPG Polar White on Black.COLLISION PREVENTION ASSIST PLUS, PRESAFE®, REMOTE START, PREMIUM 1 PACKAGE, SIRIUS XM, MULTIMEDIA PACKAGE, 8.4 HIGH RESOLUTION DISPLAY, NAVIGATION, BACKUP CAMERA, PANORAMA ROOF, HEATED STEERING WHEEL, BURMSTER SURROUND SOUND STEREO SYSTEM, HEATED FRONT SEATS, AND MUCH MORE!!!. PREMIUM ONE PACKAGE, SIRIUS XM SATELLITE RADIO, COMFORT ACCESS, ELECTRONIC TRUNK CLOSER, HANDS FREE ACCESS, HEATED STEERING WHEEL, BACKUP CAMERA, HEATED FRONT SEATS, DYNAMIC SELECT, SMARTPHONE INTEGRATION, APPLE CARPLAY/ ANDROID AUTO, RAIN SENSING WINDSHIELD WIPERS, POWER PANORAMIC SUNROOF, AND MUCH MORE! !, $48,595 ORIGINAL MSRP!!. Clean CARFAX. Odometer is 1048 miles below market average! 22/33 City/Highway MPG Mojave Silver Metallic on Black.PREMIUM ONE PACKAGE, SIRIUS XM SATELLITE RADIO, COMFORT ACCESS, ELECTRONIC TRUNK CLOSER, HANDS FREE ACCESS, HEATED STEERING WHEEL, BACKUP CAMERA, HEATED FRONT SEATS, DYNAMIC SELECT, SMARTPHONE INTEGRATION, APPLE CARPLAY/ ANDROID AUTO, RAIN SENSING WINDSHIELD WIPERS, POWER PANORAMIC SUNROOF, AND MUCH MORE! !, $48,595 ORIGINAL MSRP!!. Mojave Silver Metallic on Black. COLLISION PREVENTION ASSIST PLUS, REMOTE START, PRESAFE®, LED HEADLIGHTS, PREMIUM PACKAGE, HANDS FREE ACCESS, SIRIUS XM, HEATED STEERING WHEEL, BACKUP CAMERA, HEATED FRONT SEATS, 18 TWIN 5 SPOKE WHEELS, COMFORT SUSPENSION, AND MUCH MORE!!!!. Recent Arrival! Clean CARFAX. 22/33 City/Highway MPG Black on Silk Beige.COLLISION PREVENTION ASSIST PLUS, REMOTE START, PRESAFE®, LED HEADLIGHTS, PREMIUM PACKAGE, HANDS FREE ACCESS, SIRIUS XM, HEATED STEERING WHEEL, BACKUP CAMERA, HEATED FRONT SEATS, 18 TWIN 5 SPOKE WHEELS, COMFORT SUSPENSION, AND MUCH MORE!!!!. PREMIUM ONE PACKAGE, SIRIUS XM SATELLITE RADIO, COMFORT ACCESS, MULTIMEDIA PACKAGE, COMMAND NAVIGATION, BACKUP CAMERA, PANORAMIC POWER SUNROOF, HEATED STEERING WHEEL, BURMESTER PREMIUM SURROUND SOUND, HEATED FRONT SEATS, DYNAMIC SELECT, COLLISION PREVENTION ASSIST PLUS, AND MUCH MORE! !, $50,375 ORIGINAL MSRP!!. Clean CARFAX. Odometer is 2770 miles below market average! 23/32 City/Highway MPG Polar White on Black.PREMIUM ONE PACKAGE, SIRIUS XM SATELLITE RADIO, COMFORT ACCESS, MULTIMEDIA PACKAGE, COMMAND NAVIGATION, BACKUP CAMERA, PANORAMIC POWER SUNROOF, HEATED STEERING WHEEL, BURMESTER PREMIUM SURROUND SOUND, HEATED FRONT SEATS, DYNAMIC SELECT, COLLISION PREVENTION ASSIST PLUS, AND MUCH MORE! !, $50,375 ORIGINAL MSRP!!. REMOTE START, PREMIUM PACKAGE, SIRIUS XM RADIO, MULTIMEDIA PACKAGE, 8.4 HIGH RESOLUTION COLOR DISPLAY, NAVIGATION, TOUCHPAD, BACKUP CAMERA, 18 TWIN 5 SPOKE WHEELS, PANORAMA ROOF, HEATED STEERING WHEEL, BURMESTER SURROUND SOUND STEREO SYSTEM, HEATED FRONT SEATS, AND MUCH MORE!!!. Clean CARFAX. Odometer is 2815 miles below market average! 23/32 City/Highway MPG Polar White on Black.REMOTE START, PREMIUM PACKAGE, SIRIUS XM RADIO, MULTIMEDIA PACKAGE, 8.4 HIGH RESOLUTION COLOR DISPLAY, NAVIGATION, TOUCHPAD, BACKUP CAMERA, 18 TWIN 5 SPOKE WHEELS, PANORAMA ROOF, HEATED STEERING WHEEL, BURMESTER SURROUND SOUND STEREO SYSTEM, HEATED FRONT SEATS, AND MUCH MORE!!!. PREMIUM ONE PACKAGE, SIRIUS XM SATELLITE RADIO, COMFORT ACCESS, HEATED STEERING WHEEL, BACKUP CAMERA, HEATED FRONT SEATS, DYNAMIC SELECT, SMARTPHONE INTEGRATION, APPLE CARPLAY/ANDROID AUTO, RAIN SENSING WINDSHIELD WIPERS, PREMIUM INTERIOR LIGHTING, AND MUCH MORE! !, $48,095 ORIGINAL MSRP!!. Recent Arrival! Clean CARFAX. 22/33 City/Highway MPG Mojave Silver Metallic on Black.PREMIUM ONE PACKAGE, SIRIUS XM SATELLITE RADIO, COMFORT ACCESS, HEATED STEERING WHEEL, BACKUP CAMERA, HEATED FRONT SEATS, DYNAMIC SELECT, SMARTPHONE INTEGRATION, APPLE CARPLAY/ANDROID AUTO, RAIN SENSING WINDSHIELD WIPERS, PREMIUM INTERIOR LIGHTING, AND MUCH MORE! !, $48,095 ORIGINAL MSRP!!. PREMIUM ONE PACKAGE, SIRIUS XM SATELLITE RADIO, COMFORT ACCESS, BACKUP CAMERA, PANORAMIC POWER SLIDING SUNROOF, HEATED FRONT SEATS, DYNAMIC SELECT, RAIN SENSING WINDSHIELD WIPERS, AND MUCH MORE! !, $46,320 ORIGINAL MSRP!!. Recent Arrival! Certified. Mercedes-Benz Certified Pre-Owned Details: * Warranty Deductible: $0 * Vehicle History * 165 Point Inspection * Limited Warranty: 12 Month/Unlimited Mile beginning after new car warranty expires or from certified purchase date * Roadside Assistance * Transferable Warranty * Includes Trip Interruption Reimbursement and 7 days/500 miles Exchange Privilege CARFAX One-Owner. Odometer is 6247 miles below market average! 24/31 City/Highway MPG Polar White on Silk Beige.PREMIUM ONE PACKAGE, SIRIUS XM SATELLITE RADIO, COMFORT ACCESS, BACKUP CAMERA, PANORAMIC POWER SLIDING SUNROOF, HEATED FRONT SEATS, DYNAMIC SELECT, RAIN SENSING WINDSHIELD WIPERS, AND MUCH MORE! !, $46,320 ORIGINAL MSRP!!. Polar White on Silk Beige. 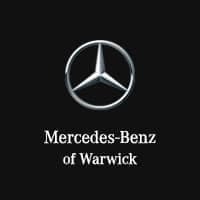 Find Your Next Used Mercedes-Benz at Mercedes-Benz of Warwick! To find the right C-Class for you, Motortrend breaks down the unique trims of that have been released over the years. Whether you choose a 2015 Mercedes-Benz C-Class or a 2012 Mercedes-Benz C-Class, you’ll have a reliable and lavish vehicle to get you around East Greenwich and Cranston. Not sure if a used Mercedes-Benz C-Class Sedan is the right choice for you? We’ve got you covered! Explore our vast selection of used vehicles and certified pre-owned Mercedes-Benz models!